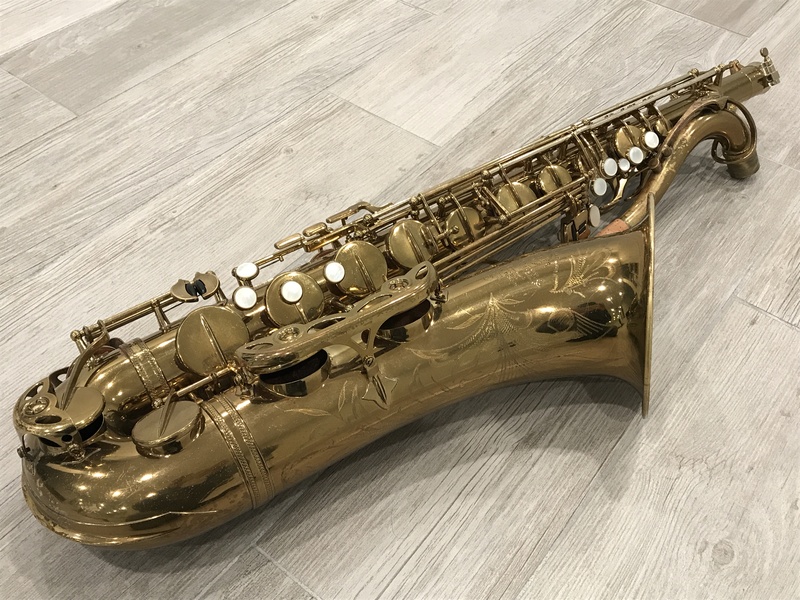 Just in, mind blowingly great 88xxx Selmer MK VI soprano, still playing it, just hard to put down. Original lacquer has normal aging spots. No solders or damage other than some smoothing on one side of the bell rim. Super rare with high F# which is a major bonus on soprano. 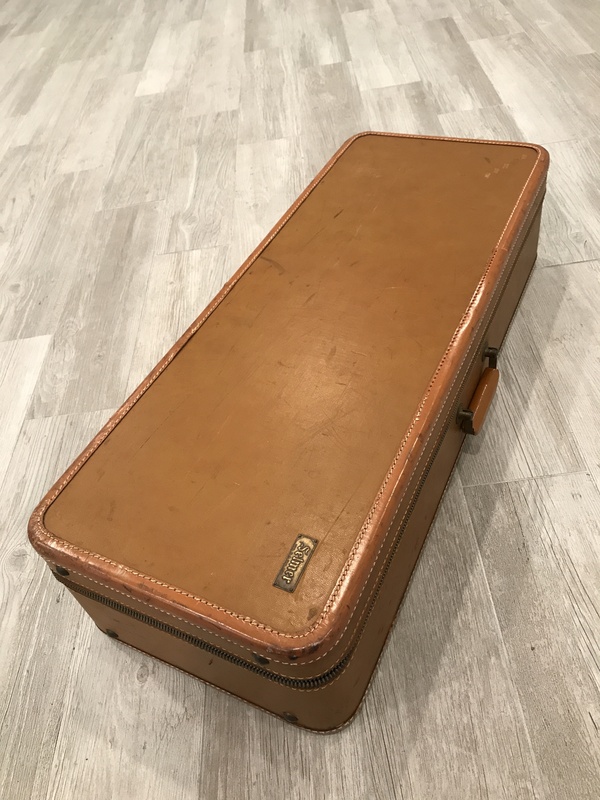 This is an incredible find, not sure it will be for sale. 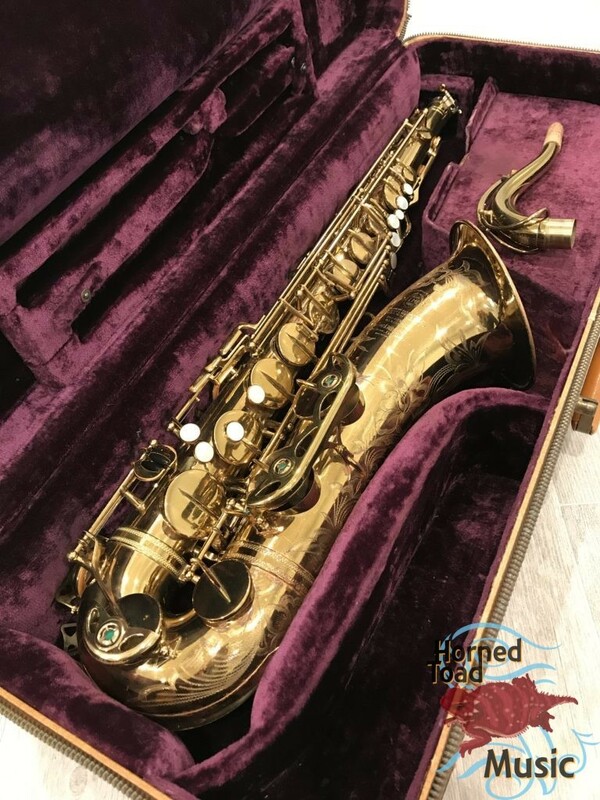 Five digit Selmer sopranos are extremely hard to find now, this is a special order High F# original lacquer in excellent condition. It is so strange, but it really seems to have the same quality as late 80k tenors do; spread, even scale, colorful, powerful and very flexible. 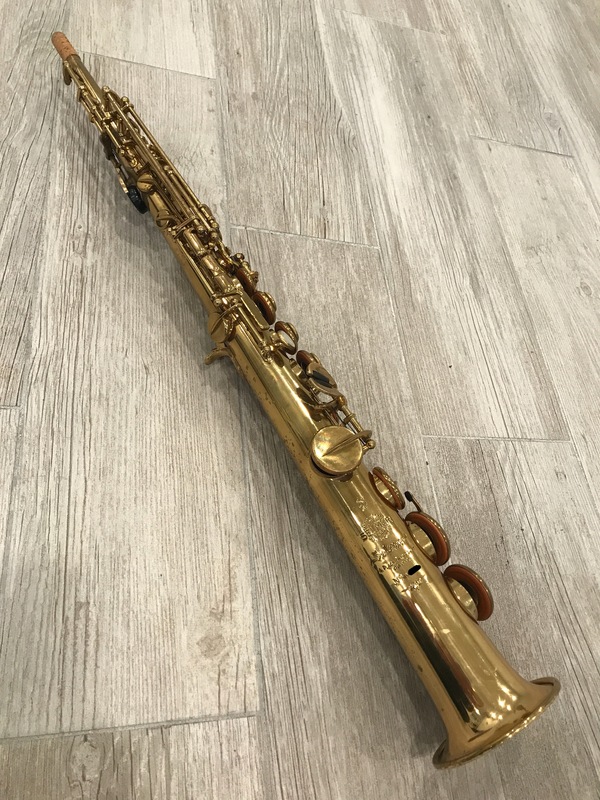 It is actually quite different from many other five digit Selmer sopranos I have had and played. 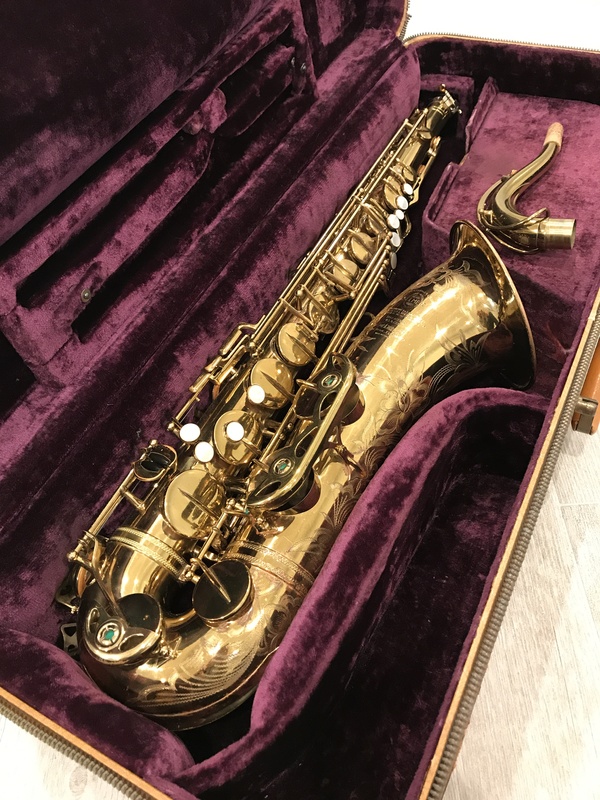 This may be the best Selmer soprano I have ever played. Plays great, warm bright agile precise responsive sound! Just basically new! This is of course the most desirable MK VI in the world based on model period. These always play great in my experience. 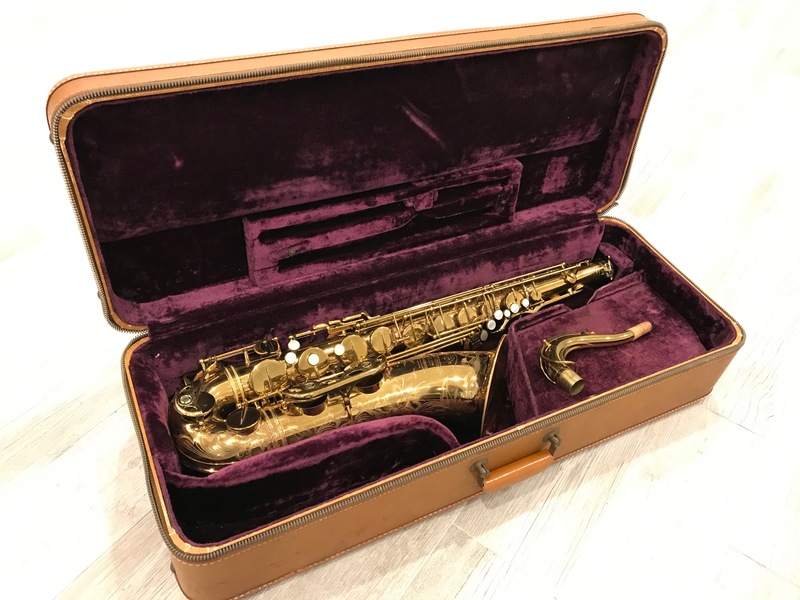 This is of course the “magic” (Brecker) serial number and it does not disappoint at all. 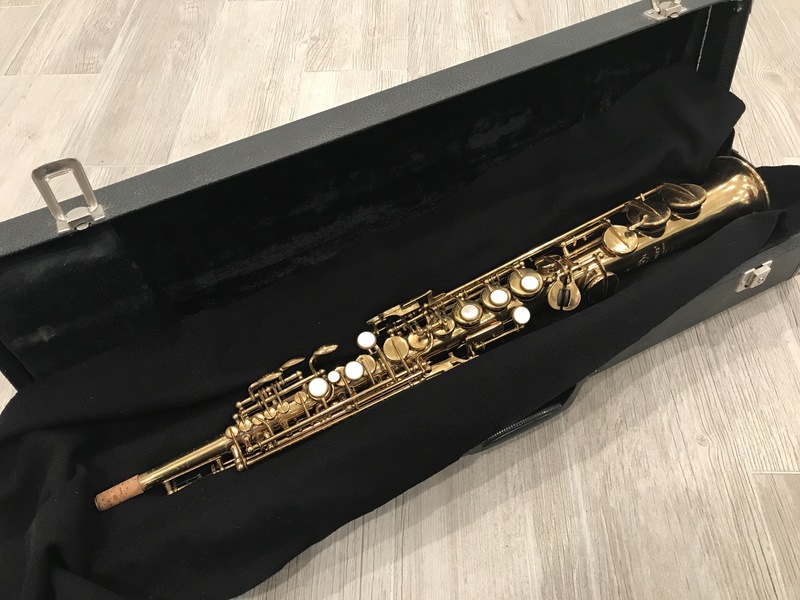 When I got this I could only play a few notes on it as pads were falling out. Based on the promise of the few notes I could hit I opted to overhaul it. It has wonderful new (slightly hard) pads and oversized nickel plated resonators with a springy setup that requires no pressure to seal. The keys all vibrate in the hand and it responds very fast. All toneholes leveled and all keys fitted and regulated. The overhaul and setup are excellent and I am picky. This horn plays slightly focused considering other horns of this period. It is not what I would call a big spread, slightly focused, VERY EDGY sound, VERY LOUD and sounds exactly as horns of this period usually do; heavy significant sound with a blasting edge quality. I would not say this is a dark horn although the sound is not light, it is bright on top of weighted if you can understand that. The feeling is buzzing in the hands and a kind of intimate right-on-top of you sound that usually only SBA’s have, but still sounds and feels like a VI. It is a unique horn. It had one broad dent on the side of ot eh bow that is now perfectly round but shows some cosmetic evidence. I did one resolder on the low F# trill guard that can barely be noticed. The neck is in perfect structural condition, never had any pull or bend. The neck has a snug fit as well. The body is very straight. The setup is amazing and the sound and feeling are addictive. 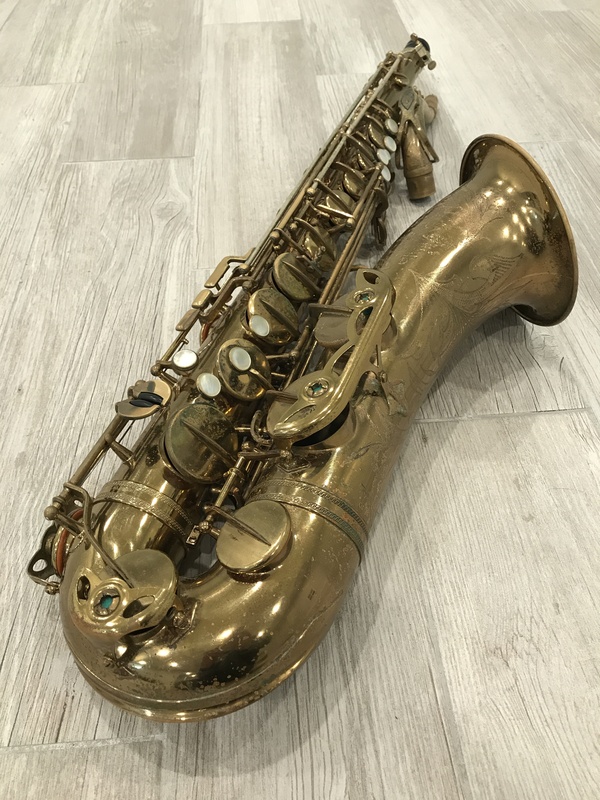 Here is a very nice MK VI soprano, #133xxx that I was happy to receive in trade for an excellent MK VI alto. This horn has a very recent pad setup from Manny’s in L.A with treated pads and plastic resos. 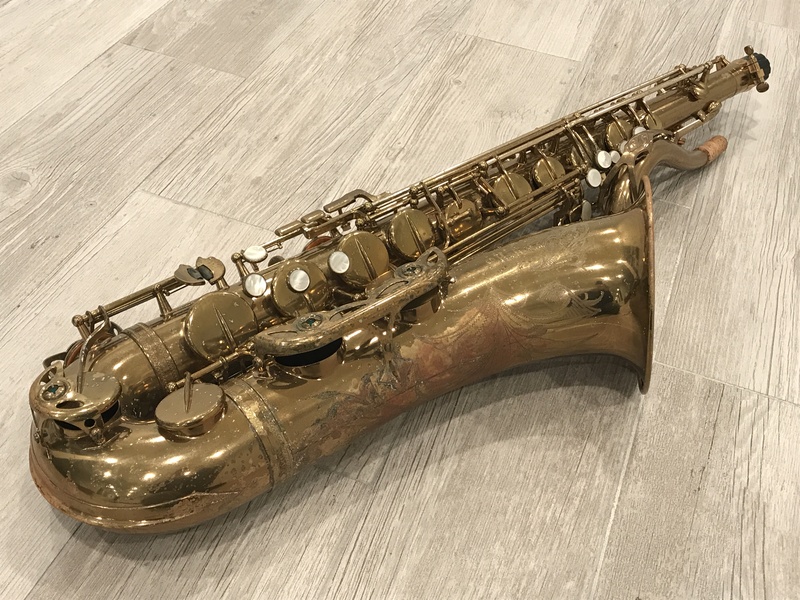 The lacquer has some cosmetic challenges; minor brass work and some corroded lacquer that was removed, as well as just general blemish, dark spots and wear. Basically this means it is an old instrument, but quite a nice player. It is in good structural and playing condition. 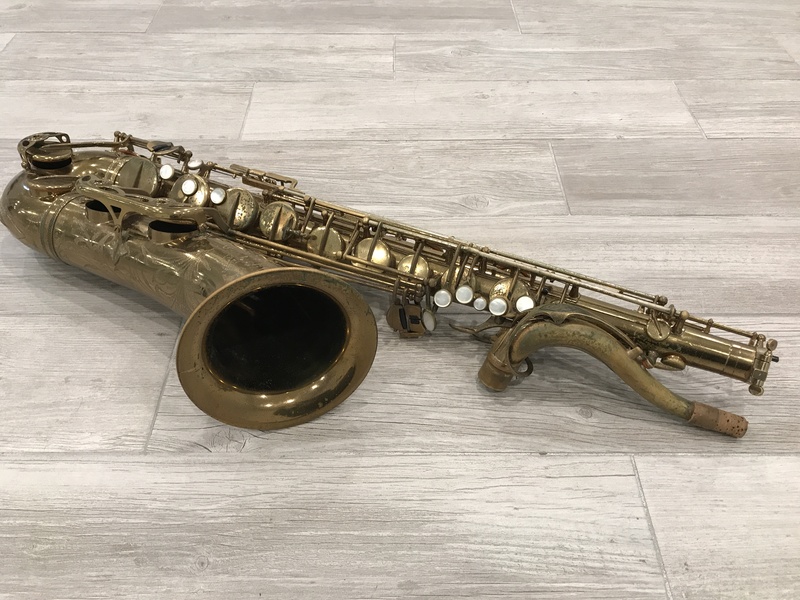 This is still in the sweet spot for MK VI soprano’s and still has plenty of vintage tone mojo and complexity, with a bit of edge and a colorful core tone. We have the good fortune to acquire yet another 140k-series alto AKA “Sanborn” model. 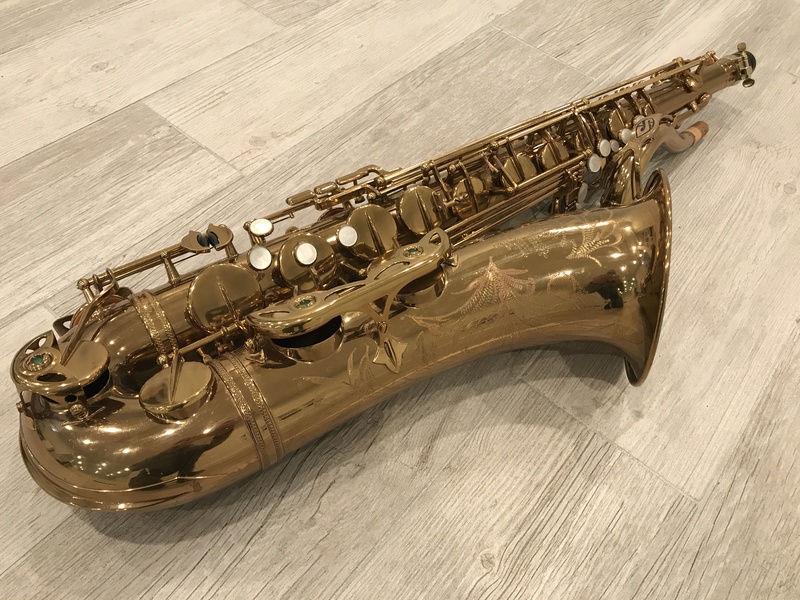 This one is in very good condition, no damage, original lacquer and a wonderfully playing, seems owned by a working pro. Out of all the 140k altos we’ve had here there was one that stood out above the rest for just being resonant, a good deal better than the others. This one is equal and just has that extremely lively and free response. It is focused enough to project and cut without being stifled or narrow. It spreads enough for color and complexity and it is just extremely loud and powerful and edgy. 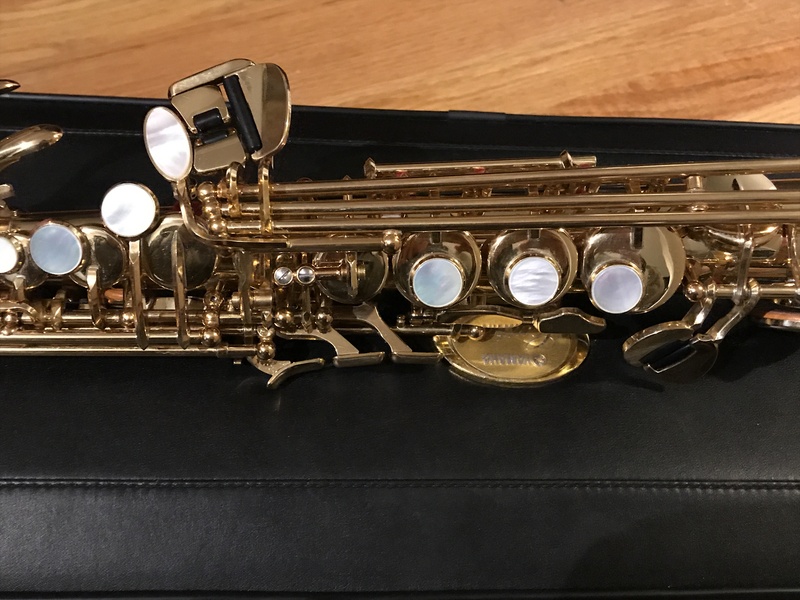 This particular horn is a current favorite alto, a wonderful experience to play. It has one key guard foot re-attachment (not due to any damage, just detached) It has lacquer missing on a few key cups. There appears to have never been any physical damage of any kind to the body or neck. 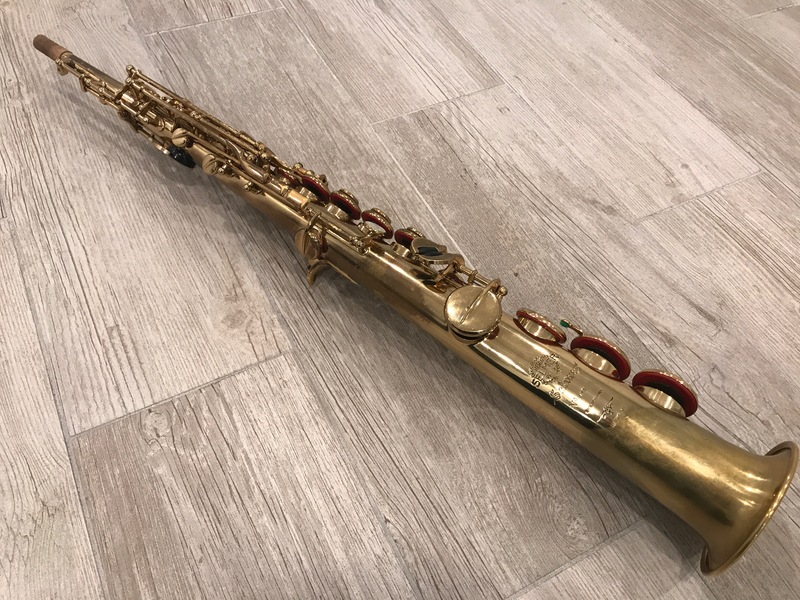 Will need pad attention, the pads are old, but very fun to play, apex MK VI alto! This here is pretty much the apex model design for the first run of MK VI. it is like the full extension of the best qualities initially produced in 56xxx-60xxx tenors. By 76xxx the same tonal color and resonance qualities are expressed yet amplified by probably the most power, projection and presence that could be achieve with that particular color palette and bore design. By the late 70xxx and early 80xxx the entire concept had changed into a much more spread and lush response with a different color as well. This particular example offers a beautiful complex sound color, a fairly focused and centered response and a rather angry aggressive edge as well. It feels like a light horn and when pushed it responds as extremely resonant and light. The horn was assembled in USA and engraved here as well. The lacquer is all original and nearly 100% intact. The pads are all original it seems and original tone-x resonators also present. By some mystery, with original pads (with lacquer still on the edges) this horn plays like it has a wonderful recent overhaul, really just plays perfectly, which although hard to imagine is a great experience to play. There is a small amount of occasional lacquer speckle and maybe one tiny ding that will disappear smoothly. 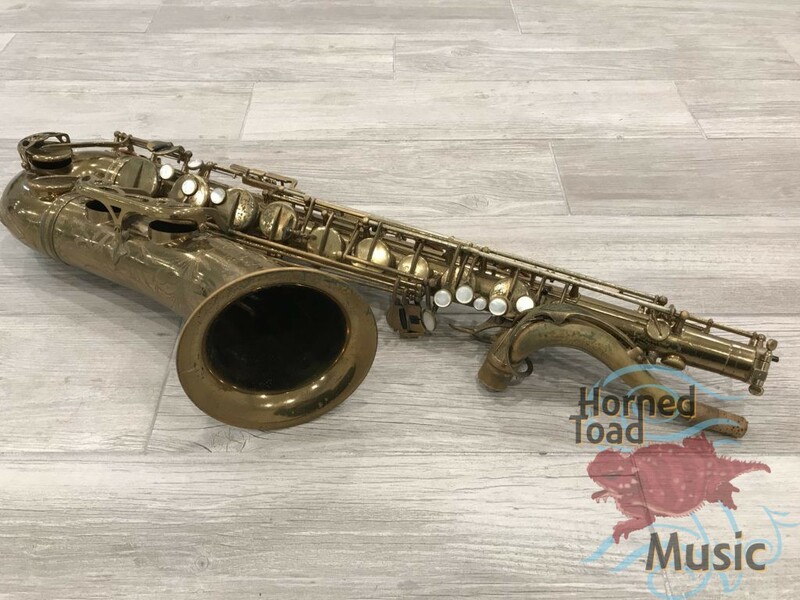 This horn is a museum quality collector’s treasure with a player’s dream response and feels ready to take on a gig right now. This is probably the best early 5 digit tenor I have played in years, or ever. It is incredibly satisfying to drive hard or soft. 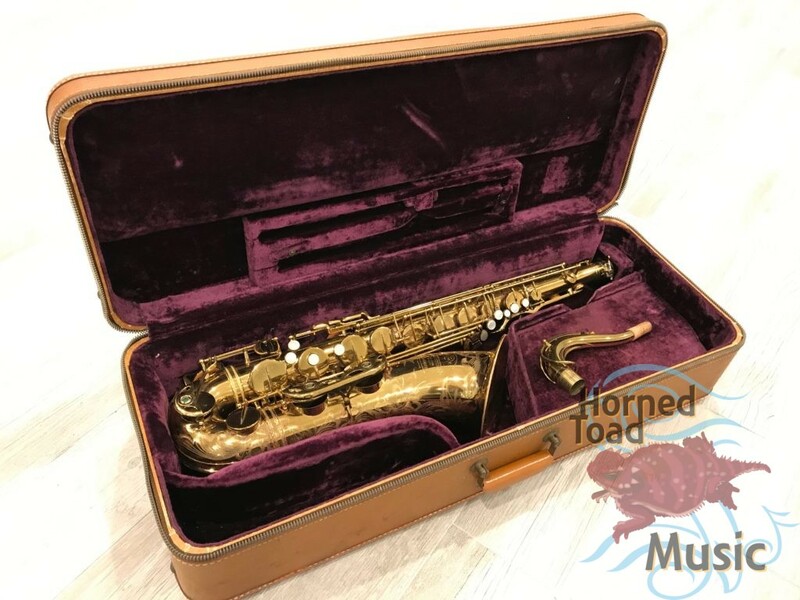 The neck has matching serial and is in exceptionally good condition. Original trey-pack case is also present with working zipper in good condition. This is not a horn one finds every day, year, or decade. It is a first class rarity and killer player. 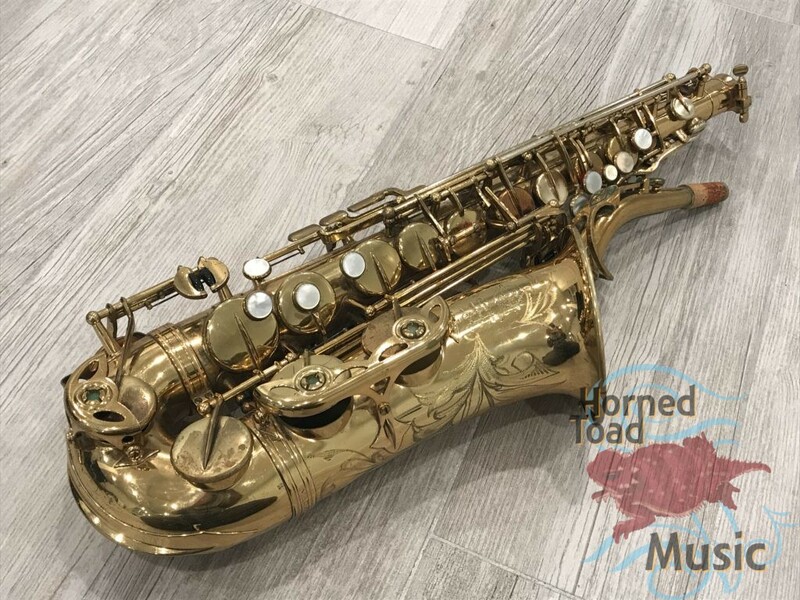 Here we have a Yamaha 62 straight soprano in lacquered finish. This horn is a wonderful player with a very warm and projecting sound. It is among the first 600 of these ever made with 4 digit serial and purple label. The key arrangement is very comfortable which is classic Yamaha design. 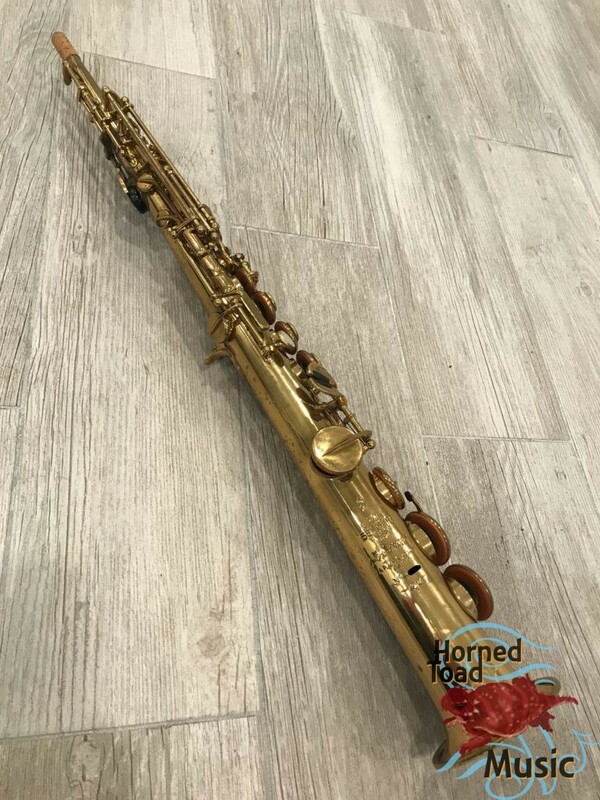 it is very easy horn to play and speaks exceptionally well with a colorful tone. This one has been played a bit, has some normal dings but overall in very good shape. One of a kind 1960 tenor Mark VI, serial 87xxx in original US lacquer and engraving. 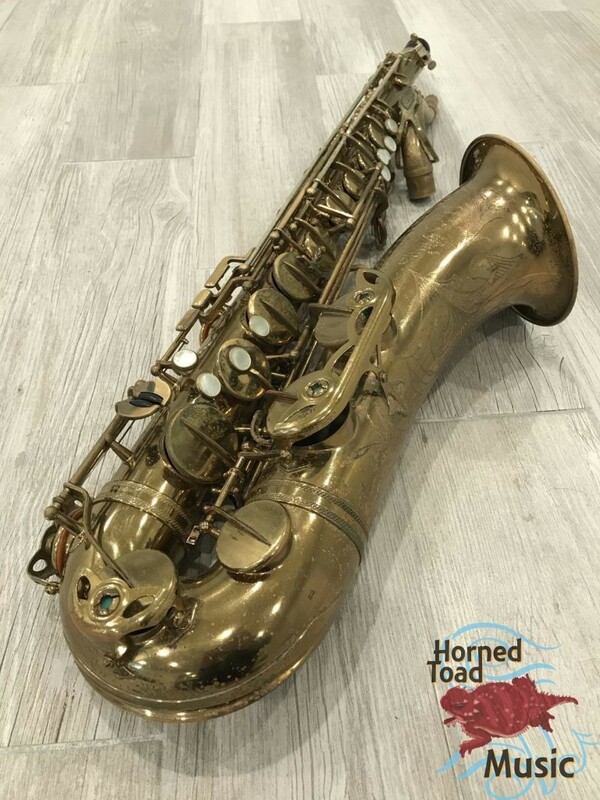 This horn is the top, as it is one of the best periods of the MK VI but is also a totally unique and special instrument of this variety as well. There is no damage past nor present that I could find on this horn, structurally excellent and sound. There is normal lacquer wear on the body and most is gone from the neck yet the neck is physically perfect and wonderfully responsive. 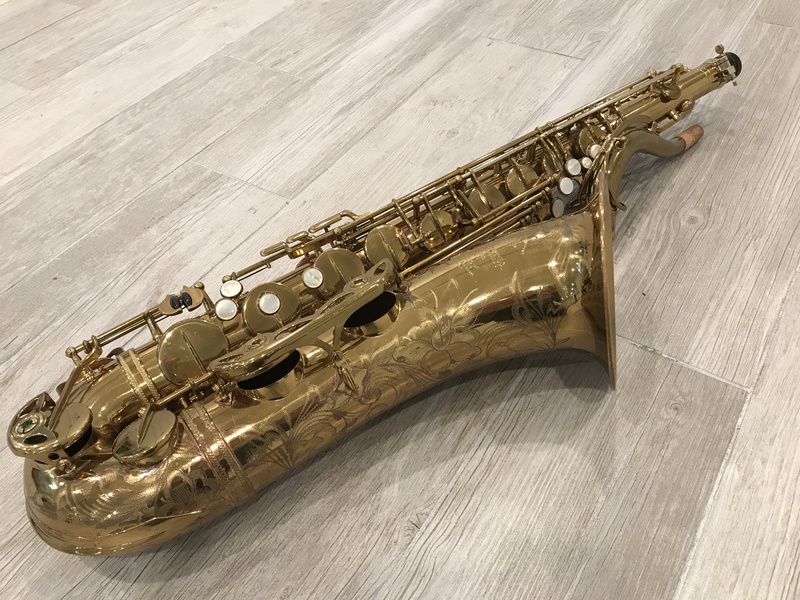 This pads are not old, and set up with what I think are original Selmer plastic resonators it plays very well, but I think the setup could be a bit better when the right player determines it is time to address. 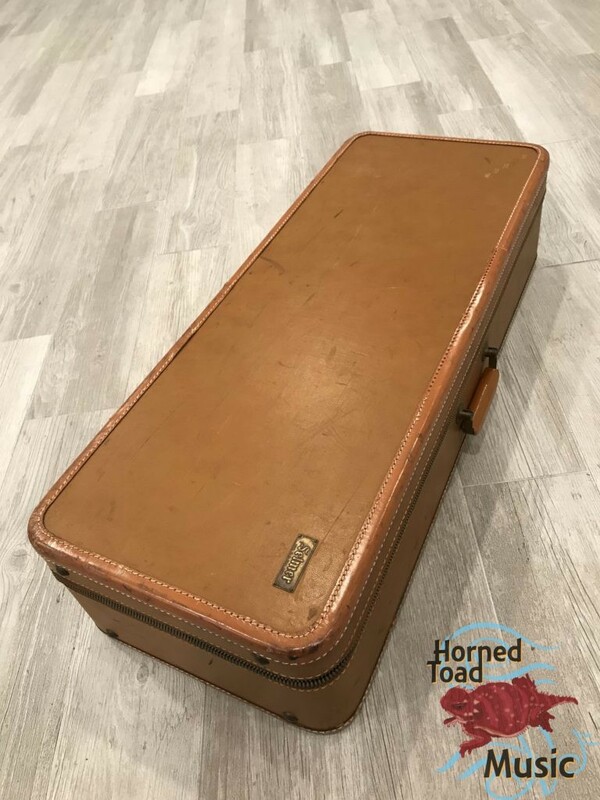 I found no solders nor dents on the this horn, but of course there going to be normal scratches and small dings perhaps, nothing that caught my eye and I am meticulous. Now for the most important part, the sound and response: There is simply nothing like this horn, anywhere. I have only ever played a few like this one. It is very loud and exceptionally lively, which is different than just being loud. It has what those in the know would call a kind of boldness to the sound, almost like a physical impact of sound. 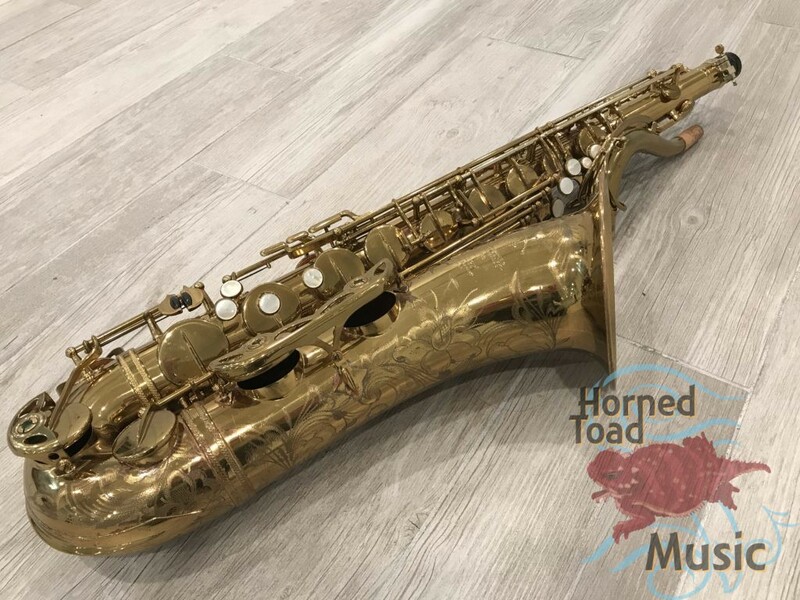 This horn is quite edgy and cutting though it has an underlying warmth and color to the sound that makes it not what I would call excessively bright. It has a very aggressive, colorful and complex kind of edge to it. It is probably in the middle between dark and bright, has a mid-tone quality to the very loud cutting edge that is very hard to find along with the physically impacting fundamental bass. I can only wonder how it would function with metal resonators. This is a very rare and special horn, I have only ever played one or two others that came close to it. I waiting a decade to buy it. SBA 48xxx as rare as it gets. 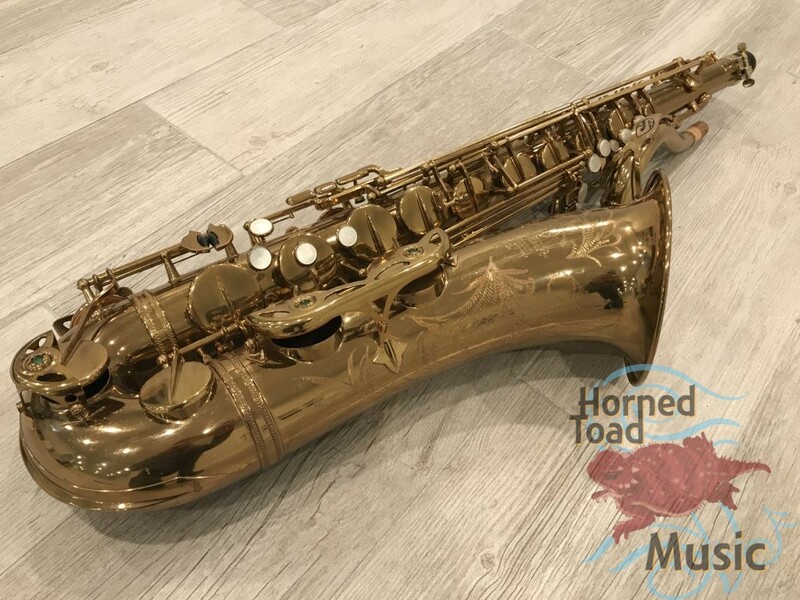 This horn is in 99-100% original US lacquer and Elkhart engraving. It has original resonators and a truly wonderful playing setup with quite new pads etc. It needs nothing and is ready for the gig out of the case. 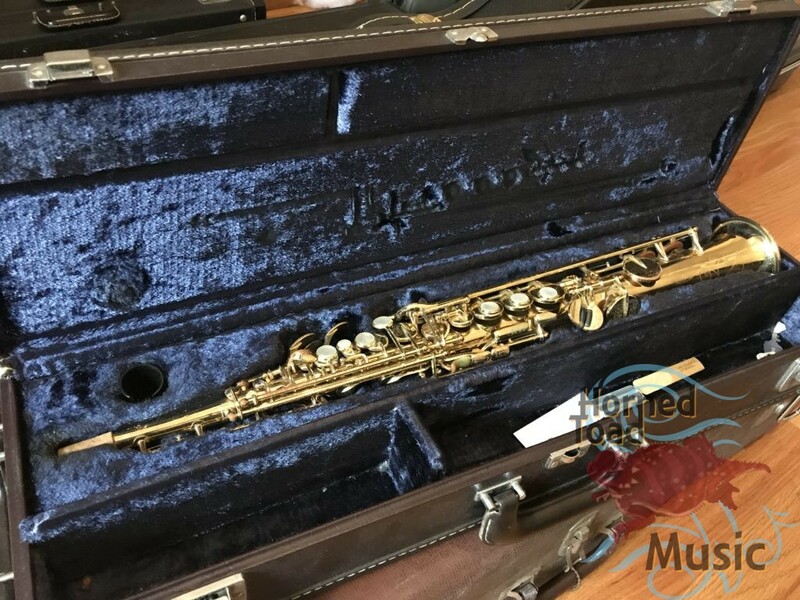 There are only minor dings and scratches to be found, no repairs that I could find, wonderful responsive neck with original matching number. The pearls are brand-new sharp, the case is old and the zipper does not work but it is sturdy. The response is exceptionally fast and fluid and the sound is very warm and kind of bouncy and expansive while still being focused as SBA’s are. This is a very loud and open feeling SBA, yet definitely not of the later design that feels a bit more like a MK VI, this is not at all like a MK VI. 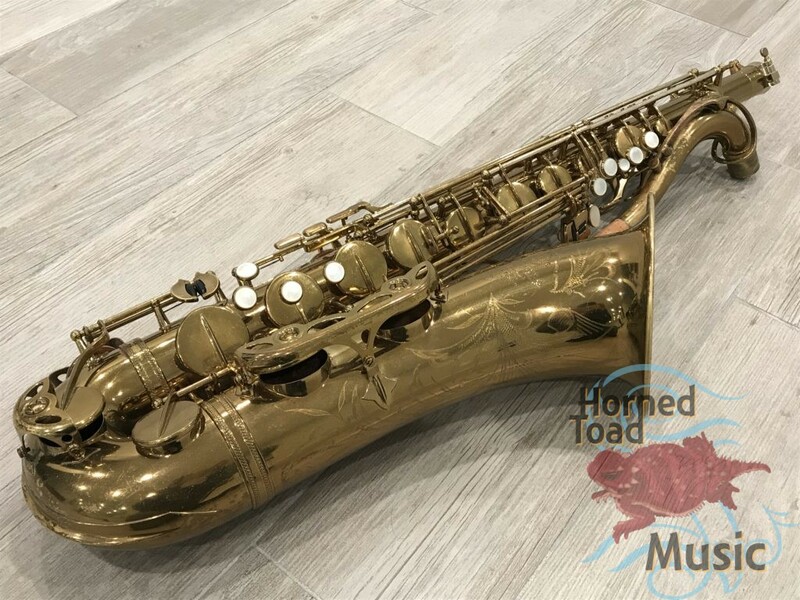 I could keep writing but in the end, anyone looking for the SBA of a lifetime find would run with this after playing it for 2 minutes. It IS that good, best SBA I have ever played, no contest. Of course these are very rare, desirable and expensive, just the way things are now. No complaints, this horn sounds and plays that great.